It’s the most effective insomnia treatment known at this time, improving sleep for 70 to 80 percent of the people who try it. CBT-I is more effective and long lasting than treatment with sleeping pills, and it’s effective for many people with chronic insomnia who also have other health problems such as depression, anxiety, or sleep apnea. For more information on CBT-I, take a quick look at this blog post I wrote at the beginning of last year. Canada has 37 behavioral sleep medicine providers, but no other country outside the US has more than 7. Do I Really Need a Sleep Therapist for CBT-I? There are alternatives to working with a doctor or therapist trained in behavioral sleep medicine. But working with a professional—someone with a clear grasp of the protocol who can lead you through it step by step, motivating you to continue if the going gets rough—is probably the best way to ensure success and maximize the gains you’re going to make. 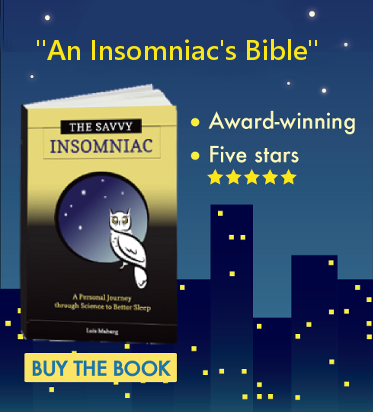 “Having somebody who’s experienced with this telling me that, if I do this, there’s a good chance everything will turn around is very inspiring,” said a man I interviewed for my book, The Savvy Insomniac, after we finished a group course in CBT-I. Find a professional trained to administer CBT-I by clicking on this provider directory. What If I Can’t Get Insomnia Therapy Nearby? 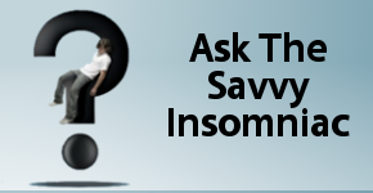 CBT for insomnia is a 5-week course developed by sleep specialist Gregg D. Jacobs at Harvard Medical School. The cost is $49.95. SHUTi sells its 6-week course, developed by Canadian sleep specialist Charles Morin, for $149. The price includes access to the site for 26 weeks. The extended access might appeal to you if (1) you’re not ready to jump right into the course, (2) something unforeseen happens during therapy and you have to start all over again, or (3) you feel you might like to continue tracking your sleep after the course ends. Sleepio, developed by UK sleep specialist Colin Espie, offers a 6-week course plus a year’s access to the website and a host of supplementary materials for the hefty price of $400. What you’d gain from a whole year’s access to the website isn’t clear to me. But you may be able to access Sleepio for free by agreeing to take part in a research study. Couldn’t I Just Read a Book? Read all you can about the CBT-I protocol before starting therapy. It’s important to understand the process before you begin. For 1 to 2 weeks before you start therapy, keep a sleep diary (download a sleep diary here), recording bed and rise times and relevant habitual activities. Stick closely to the protocol and hang tight. Your sleep should start to improve in a couple of weeks. If you’ve found this blog post helpful, please like and share on social media. Thanks! *To gather data, the authors consulted a directory of professionals certified in behavioral sleep medicine, BSM provider lists, and BSM listservs.